Back in February, I told you about a new juice joint opening on the corner of Olympic and Westwood in West Los Angeles. 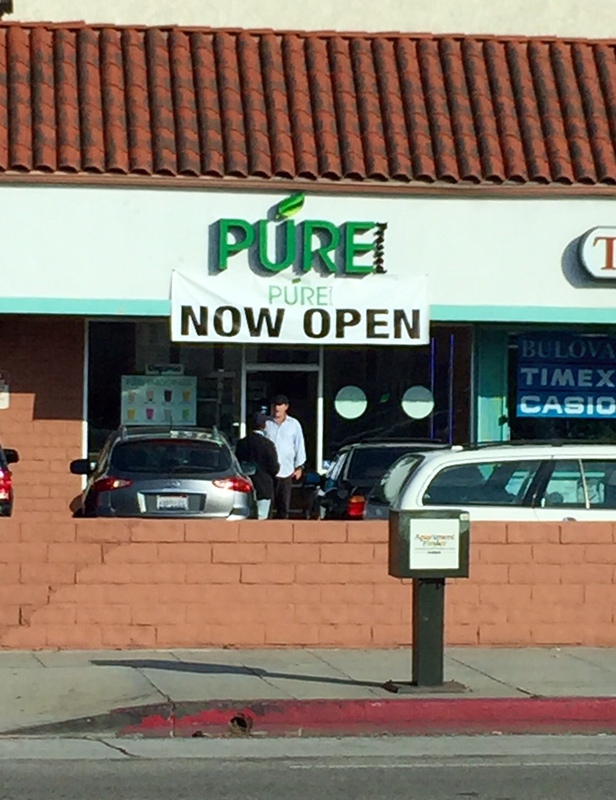 Well, for all of you who have been waiting with bated breath, Pure Pressed Juice has thrown open its doors at 10844 West Olympic Blvd. Look for a menu of organic cold-pressed juices, almond milk, smoothies, and cleanses that you can read more about here. 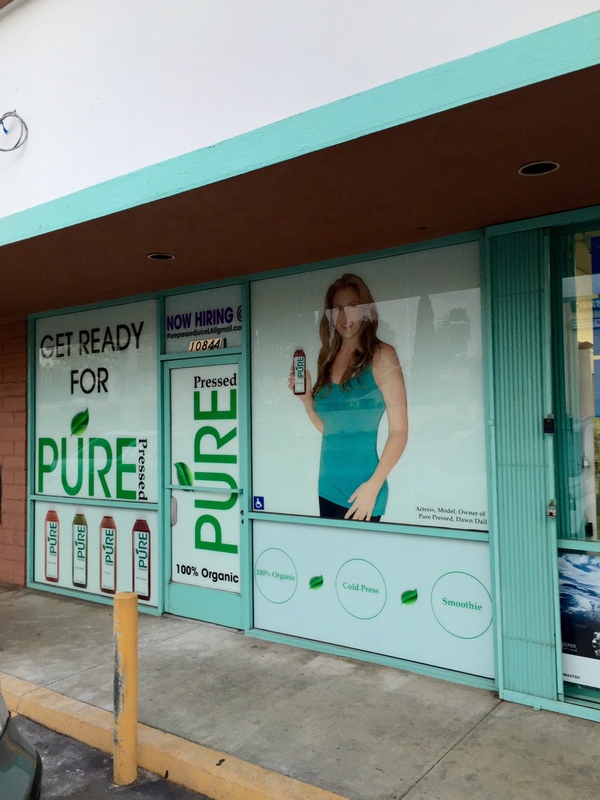 And yet another juice place foists itself upon West LA… I recently noticed that a window display in the little strip mall on the southeast corner of Olympic and Westwood Blvd. is announcing the impending arrival of Pure Pressed juicery. Look for a menu of (wait for it…) organic cold-pressed juices and smoothies. 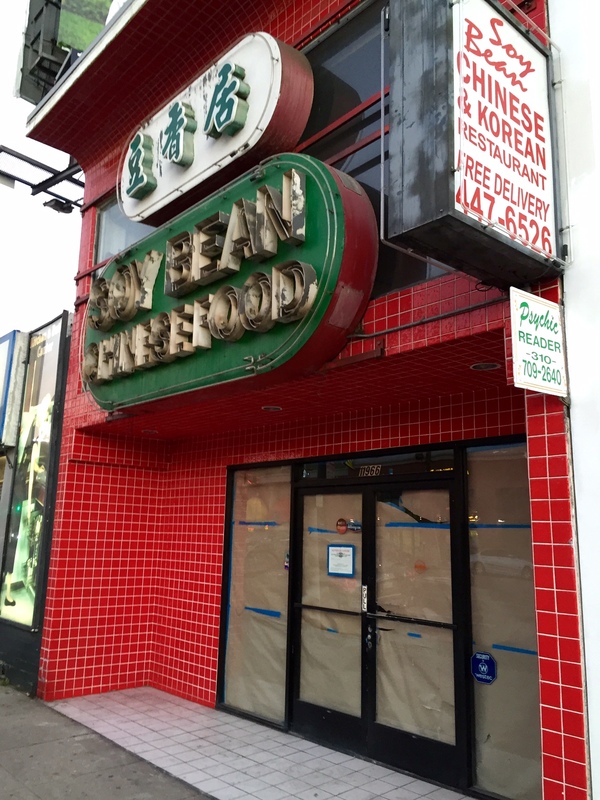 Recently, I noticed that long-time neighborhood fixture and aggressive advertiser Soybean Chinese Food had closed its doors at 11966 Wilshire Blvd. in West LA. 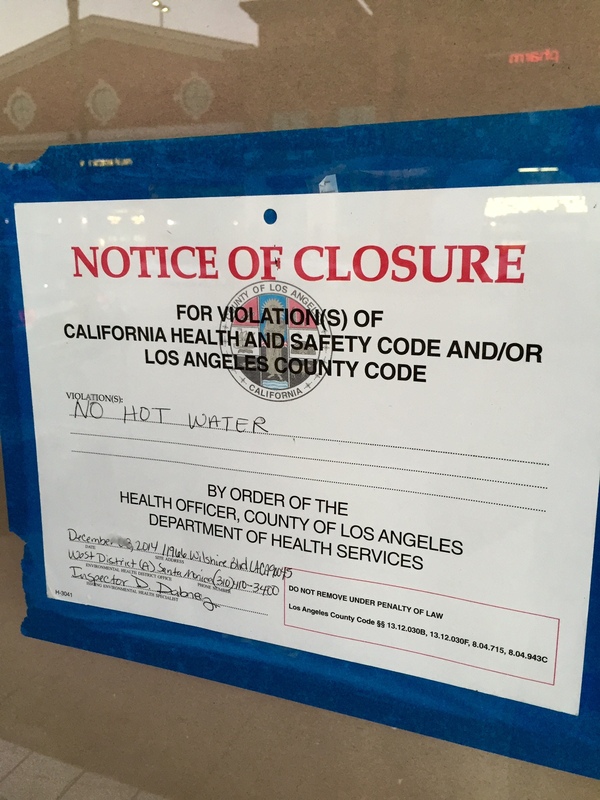 And now we know why… According to the notice posted on the front door, the restaurant was shut down due to a violation of the California Heath and Safety code. Written on the notice are three perfunctory words: no hot water. The windows have been papered over and it looks like someone may be moving in, but no word yet on what might be taking its place. I’ll keep my eye on it. Looks like shops selling boba (chewy tapioca balls submerged in sugary drinks) are proliferating lately. 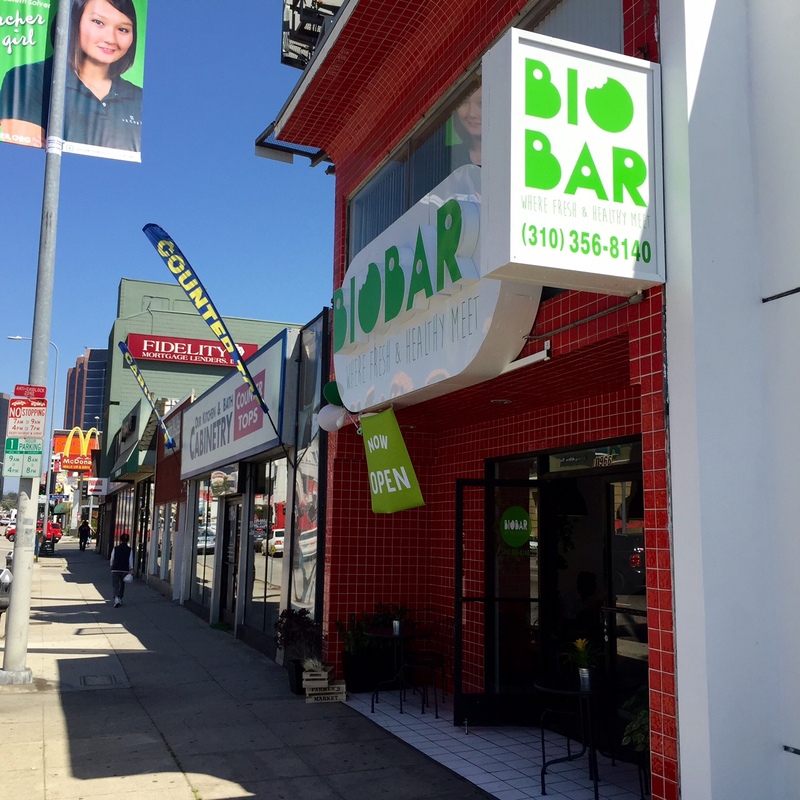 To the list we add one more: Signs recently went up in the new building at 11573 W. Santa Monica Blvd. 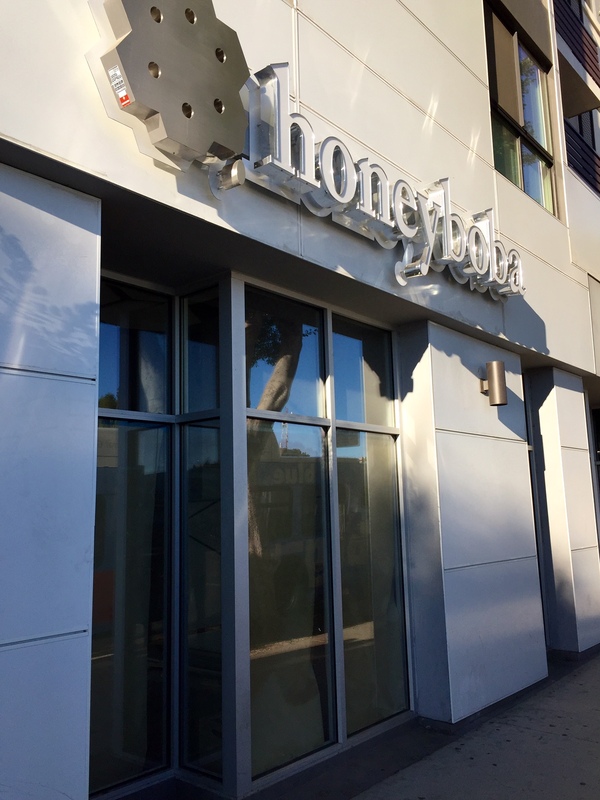 (corner of Federal) in West LA announcing the impending arrival of Honey Boba. Promising “the best boba alive”, they already have locations in Gardena, Lomita, Rosemead, and Arcadia, so this will be their first foray into the Westside. No word on an opening date, but until then you can read more here.